If you watched Ethan Johns at Loves Cafe in 2014, then you will be as pleased as we are to hear the news he is returning on Thursday May 23rd. Ethan will be supported by Adam and Alex Lipinski and table bookings will be available for supper. Black Eyed Dogs present Revelator, an album of a special live concert event captured at Peter Gabriel’s Real World studios. 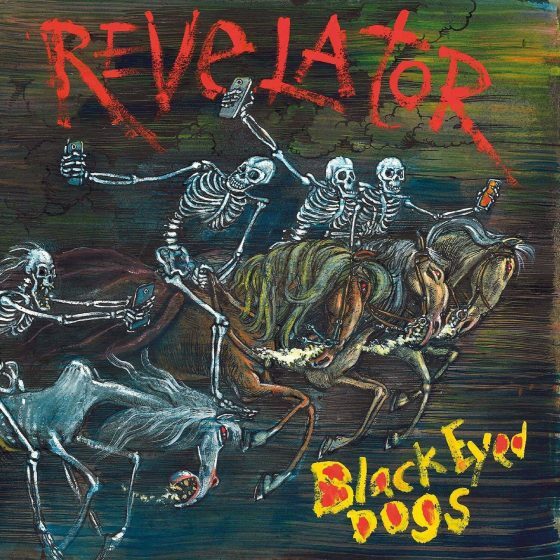 Featuring the Black Eyed Dogs version of the Gillian Welch song Revelator, a staple and fan favourite in the Black Eyed Dogs set for years, recorded and available on vinyl for the first me. Additionally, the album features unique versions of the barn burning Twenty First Century Paraniod Blues, brand new original songs, and new arrangements of classic tracks from their back catalogue. The Black Eyed Dogs stellar line-up includes Americana UK instrumentalist of the year nominee Georgina Leach on fiddle, Americana UK instrumentalist of the year winner (2017, 2019) Chris Hillman on pedal steel, Stephanie Jean Kid on keyboards from the amazing duo Ida Mae, Dan See on drums (Nick Mulvey) Nick Pini on bass (Laura Marling) and band leader Zero Quixote aka Americana UK Artist of the Year nominee Ethan Johns. The album’s arresting cover art was provided by one of the UK’s most celebrated political satirists Martin Rowson.